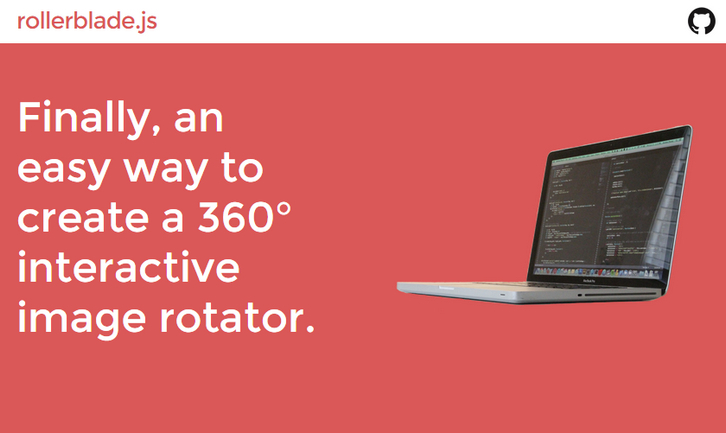 With Rollerblade, you can easily give your webpage visitors a great 360° viewing experience with your products, images, or anything else you can think of. Rollerblade targets a container element with an image element inside that has the class of “rollerblade-img”. Make the src of the image the path to the first image in your rotator. Rollerblade.js works on desktops, tablets, and smartphones (touch enabled). For all mobile devices, the rollerblade rotator will be activated when a user slides their finger from left to right. Image preloading is used to cache the images from your array to make sure the rotator performs as fast as possible. Rollerblade.js works well in IE9+.